The access to and use of this website are governed by the terms and conditions described below. By seeking to gain access to and make use of the website you accept the stated terms and conditions. We have taken all reasonable steps to ensure that all of the information on this website was correct at the time of publication. We accepts no liability whatsoever for losses of any kind arising out of possible errors or omissions on this site. All visitors making use of the information on this website do so entirely at their own risk. 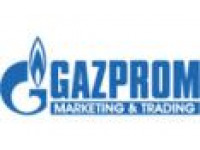 All trademarks, logos and brands appearing on this website are property of and are registered to EnergyStock No rights or licenses whatsoever are granted or may be derived from their reproduction on this website. The copyright on works within the meaning of the Copyright Act is vested exclusively in EnergyStock. We accepts no liability whatsoever for the accuracy of the information on sites of other organisations to which access may be directly obtained by following hyperlinks from this website, nor can we be held liable for losses arising out of the use of the hyperlinks. No part of this website may be reproduced, altered or used for commercial purposes without our prior written consent. The use referred to includes, but is not restricted to, distribution of all or part of the contents of this website to third parties (including distribution for use in a library, archive or similar service). We reserve the right to alter, amend, remove and update the contents of this website, including these site access conditions, at any time.